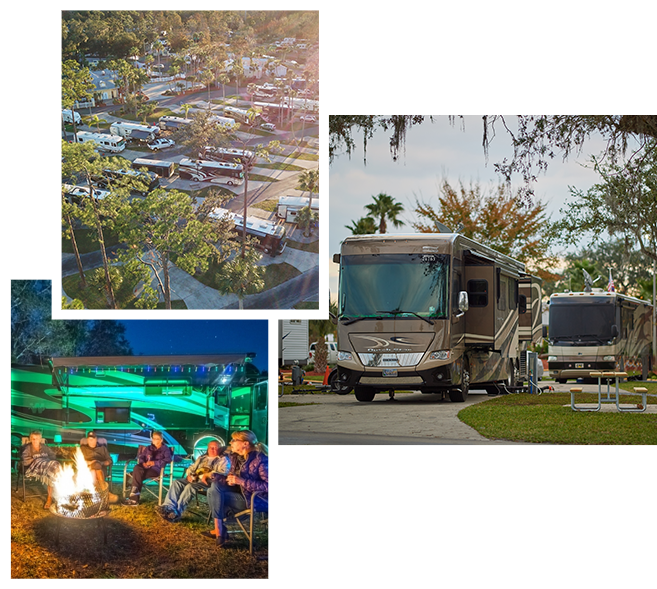 Our resort offers spacious private cottages and RV site rentals set on 69 beautiful sun-kissed acres in Kissimmee, Florida. 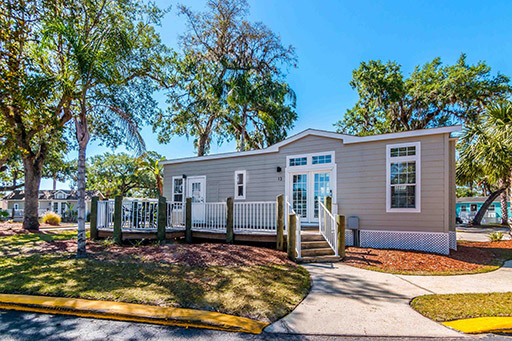 We are 4 miles from Walt Disney World Resort, 11 miles from the Orange County Convention Center, and within walking distance of Old Town & Fun Spot. 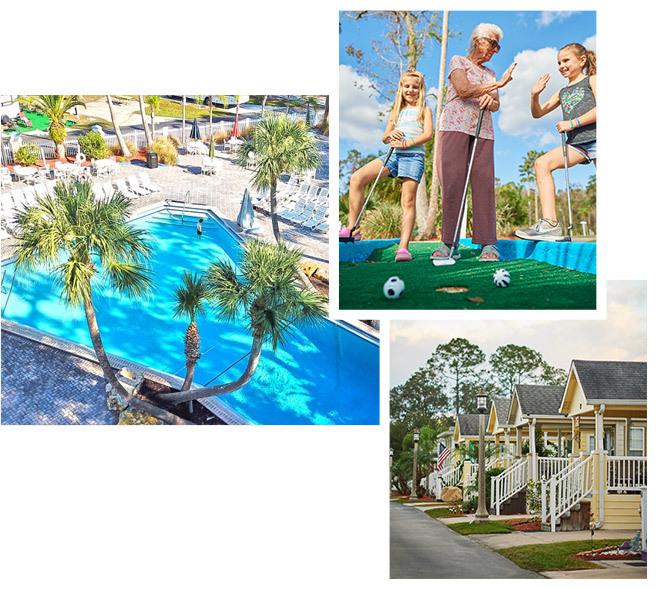 Enjoy all that central Florida has to offer, while also having convenient access to our pool, cafe, shuffleboard, bocce ball, horseshoes, live entertainment, social events, and much more. Tropical Palms is your perfect vacation getaway! Whether you're planning a retreat for the whole family, a group of friends or a getaway for two, there's no shortage of unique activities to explore. Looking for more? Our friendly staff can fill you in on all the ways to make your stay a memorable experience. 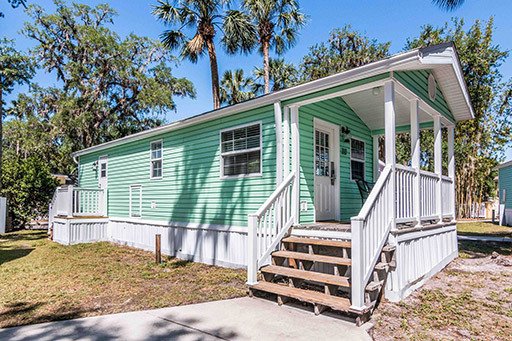 Enjoy a getaway retreat in one of our beautiful and spacious vacation cottages. 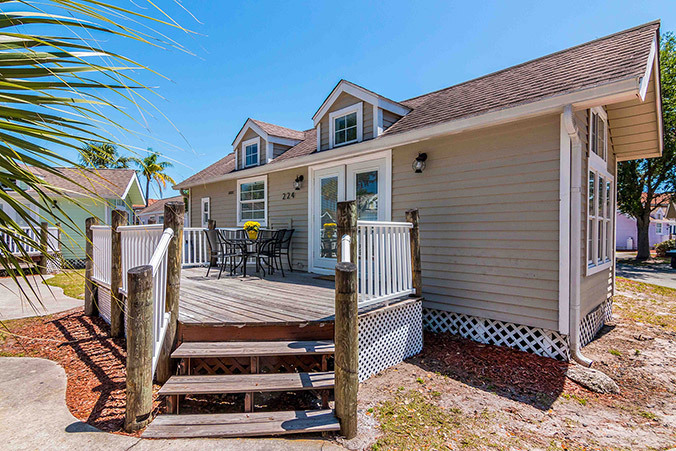 Each of our cottages has a private deck with a table and chairs, full kitchen with coffee maker, pots, pans, dishes and a microwave, flat-screen TV, sleeper sofa, linens & paper products. Sleeps 6 in a queen bed, a queen sleeper sofa, and 2 twin beds. 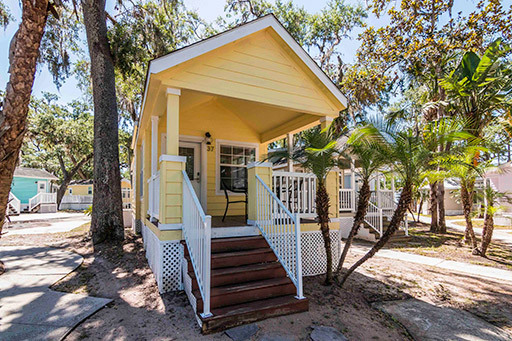 These premium 2 bedroom cottages have a cozy loft and come fully furnished. Sleeps 6 in a queen bed in one bedroom and bunk beds. Sleeps 6 in a queen bed, full size sleeper sofa and 2 twin mattresses. 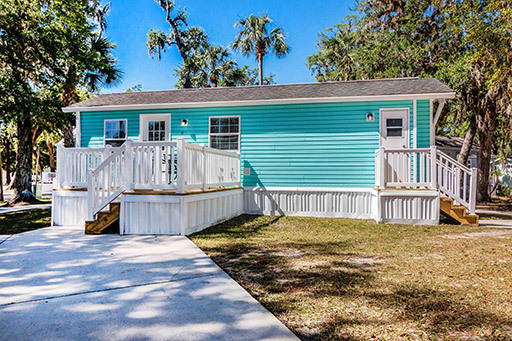 These 2-bedroom cottages are fully furnished with a queen bed in one bedroom and a twin bed and set of bunks in the other. This cozy cottage is fully furnished with a queen bed in the bedroom and a full size sleeper sofa. In addition to our spacious vacation cottages, we also offer RV site rentals. All RV sites offer electric, water and cable tv. Thank you for signing up for news and deals from Tropical Palms!